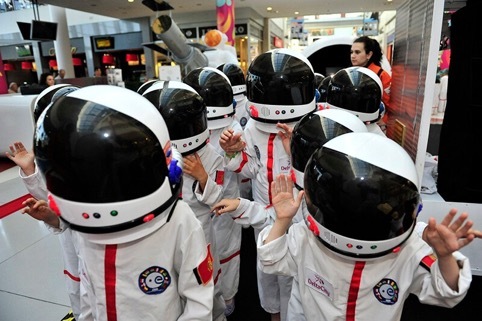 Mall of Qatar invites your little ones to discover Kids on the Moon, an out of this world edutainment experience for kids from 5 to 10 years old. Let your budding astronauts travel into the world of space discoveries through an interactive exhibition in which they see, and even experience, some of the sensations of real astronauts. Space shuttles, games, astronaut suits and more have landed from NASA and ESA (European Space Agency) transporting your kid’s imaginations straight to outer space! For the first time in Qatar, the activation will be held at East Gate 3 rotunda by Debenhams, from 10am to 10 pm every day from April 7th to 27th and is free of charge.